Hair growth can be a painfully slow process, especially for those of you that feel that your hair isn’t all it could be. Unfortunately, there is no secret society harbouring knowledge on how to make your hair grow longer overnight. We can safely say that there is nothing that will transform your Demi Moore “GI Jane” look into Rapunzel in 24 hours except a wig. However, don’t give up just yet, as I can give you a few scientific ideas that can help in the pursuit of how to grow hair faster and longer! First of all, let’s clear something up. Everyone’s hair grows longer overnight. The real question here is how to make your hair grow longer faster overnight. So first we should look at what makes hair grow at all. As I’m sure you know, your hair is a living part of you. 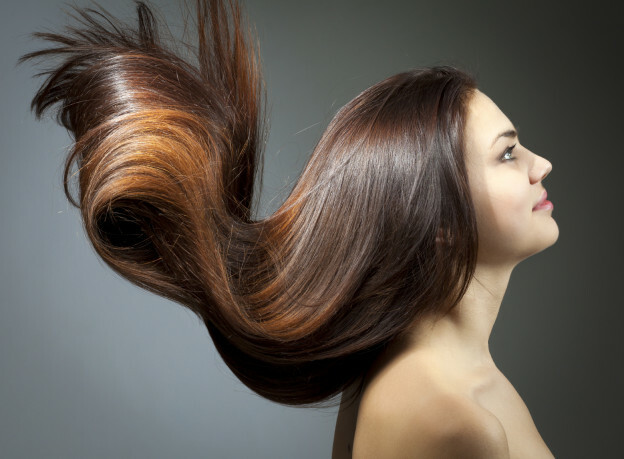 It is made of keratin (like your fingernails), and like the rest of the body, it requires a source of energy to develop into those long and luscious locks that may or may not hang on your shoulders. The fuel for the process behind hair growth includes healthy blood flow to the scalp area and nourishing follicles with a range of nutrients. These can be found in specialist supplements targeted at hair growth. Of course, they are also found in lower concentration in a range of foods. While not much can be done about circulation other than living an active lifestyle and maybe a scalp massage, you can certainly control which nutrients you put into your body. So with these nutrients, is it possible to grow hair longer overnight at a faster rate? The part of the hair growth cycle that involves lengthening is called the anagen stage. Providing your body with the key vitamins, minerals and proteins has been proven to lengthen this stage of growing existing hair but making sure that you get the right balance can be tough. Luckily there is a simpler way to feed your follicles with all this wonderful stuff. Now that we have well and truly arrived in the 21st century, completely drug-free supplements like Viviscal Extra Strength have been developed to nourish hair from within. The main ingredient, the marine complex AminoMar®, is a blend of marine extracts and other ingredients, which works to promote existing hair growth from within. In my experience, this approach of supplementing your diet with all it needs to create a great environment for healthy hair growth is far more sustainable and realistic than any wonder lotion or tantric rubbing procedure. No, it will not make you grow a Foxy Brown Afro overnight, but it may provide the results you’re really looking for in the long run.